The Main Library possesses a large collection of printed collection in both English and Arabic languages in addition to electronic collections and physical formats to fulfill the educational needs of MIU, of Al Alsun, Mass Communication, Business Administration, Computer Science, Architecture and Electronics and Communications. There is a computer station at the entrance of the Main Library, with nine public access PCs and wireless connections for internal use. The Main Library is located on the fourth floor in the Main Building. The Scientific Library provides a useful collection of printed and electronic collection for both faculties of Pharmacy and Dental and Oral Medicine. There is a computer station at the entrance of the Scientific Library with 13 public access PCs and wireless connections for internal use. The Scientific Library is located on the third floor in the N Building. 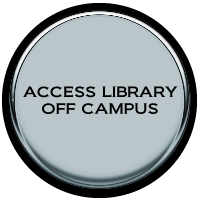 The Electronic Library facilitates the pursue of scholarly research, to use information technology, and to study from various collections of print and electronic resources. The Electronic Library offers 23 units for individual quiet study assisted with PCs. The Electronic Library also has a well-equipped Orientation Room with 16 PCs and wireless connections for both instructors and librarians to execute their classes inside the library. It also includes a data show with a projector. The Electronic Library is located on the second floor in the Main Building.